President Michael D Higgins will visit London on his first official trip abroad, it has been announced. During the three-day tour, he will travel to the Olympic Park and meet Lord Coe, president of the Olympic Games organising committee. Mr Higgins, who was sworn into office last November, will also address the London School of Economics. The president will leave Dublin for London on 21 February. His itinerary will include a visit to the London Irish Centre in Camden, as well as meeting Irish business and cultural leaders in the city. There will also be a reception at the Irish Embassy. 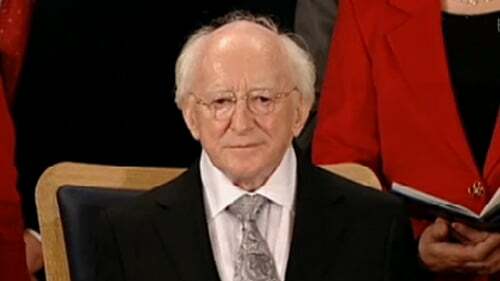 Mr Higgins plans to attend a production of Juno And The Paycock, by Dublin's Abbey Theatre and the National Theatre of Great Britain, at the Lyttelton Theatre. The President will be accompanied by his wife, Sabina.